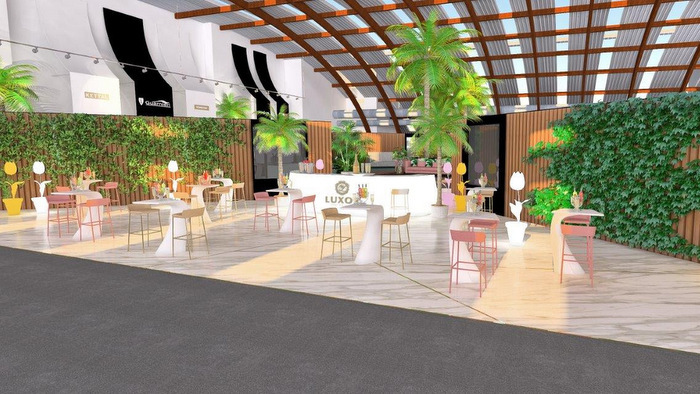 From 4 to 15 July, more than 40 renowned interior designers will turn Marbella into the epicenter of the world of interior design, decoration and luxury design. In this edition, MARBELLA DESIGN seeks to go further and become an experience. This event looks to the future taking the best references of past and present, but without forgetting the most avant-garde and innovative design of the current panorama. Each exhibitor will give shape and life to their space with a concrete decorative intention, using the pieces of the most exclusive signatures. Among others, the interior designers Sandra Amate, Adriana Nicolau, Soledad Ordoñez, Bontemps, Nayra Iglesias, Javier Martín Designs (with a space designed by Blanca Pera), Susana Urbano (from the Urbano Interior studio) and Villeroy & Boch ( whose space will be designed by one of the best interior designers of the current scene) or Gastón and Daniela Málaga. In addition, Guadarte will collaborate with the furniture of the common areas of MARBELLA DESIGN and will be attended by the prestigious designer Héctor Ruíz Velázquez, who will have a special and outstanding participation in this edition. In addition to having a list of renowned design interior designers and signatures, this year's edition of the "Design for Life" series of conferences will be organized, which, following the success of the previous edition, will be held on July 13. It will be discussed, among other topics, about the latest trends in design and interior design, both inside and outside our borders.